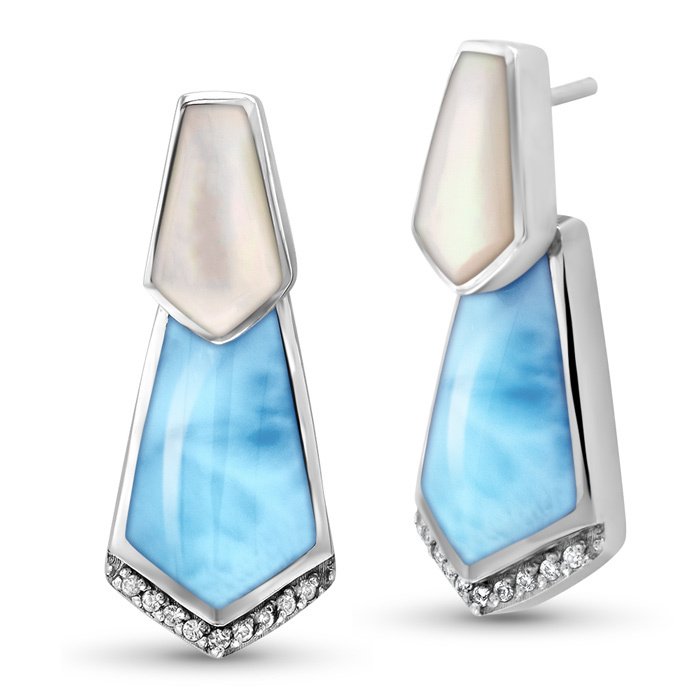 Our Calder earrings pair the natural luminescence of larimar with matching geometrics of gleaming white mother of pearl in a sophisticated design that brings out the best in every wardrobe. Hip yet classic, proud yet humble, you’ll never want to take them off! 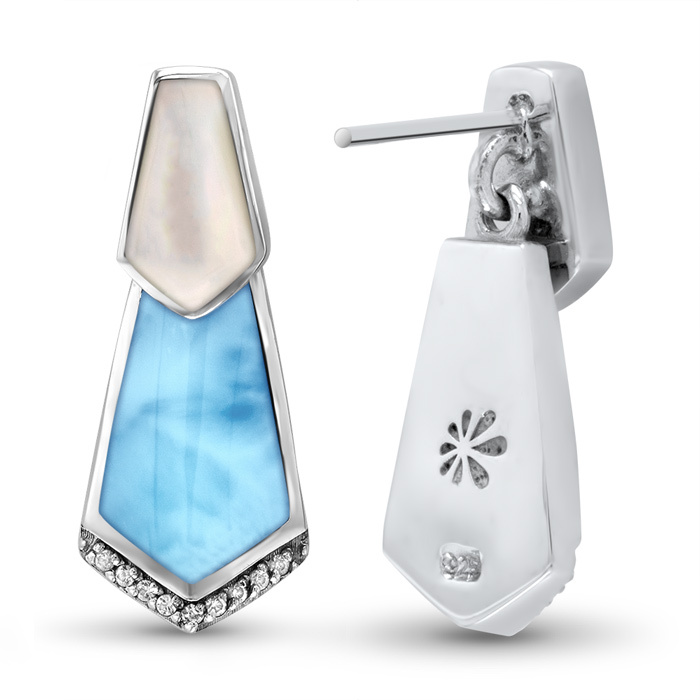 Product Details: Two 6x12mm larimar gemstones with white sapphire, white mother of pearl, and sterling silver.